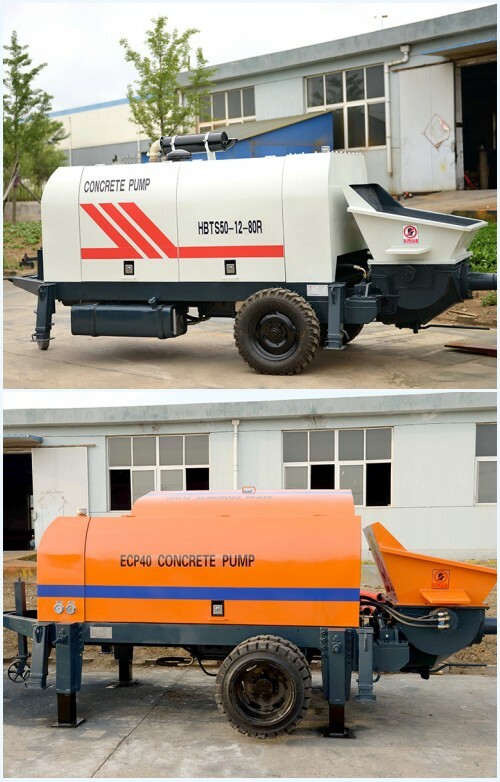 The unique characteristic of small concrete pump for sale is small volume and light weight. 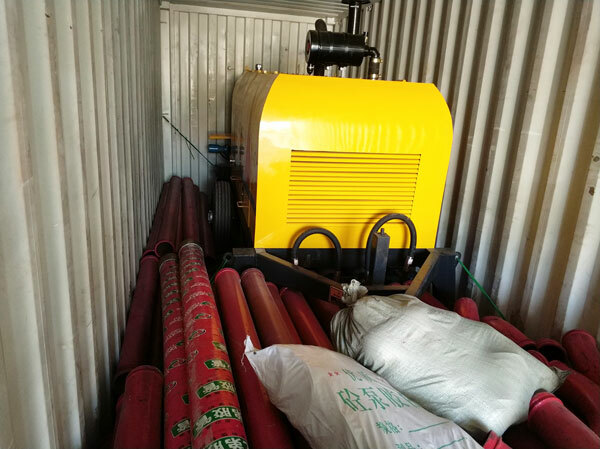 Compared with other types of concrete pump machine, small concrete pump for sale not only can meet the demand of concrete, but also just need small investment capital. If you are in the early stage of investment or your construction project is not very big, small concrete pump for sale is a good choice for you, because it has the features of small investment cost and fast return. If your project is in the narrow area, you can also consider the small concrete pumps sale because it can move and work normally even if in narrow area. 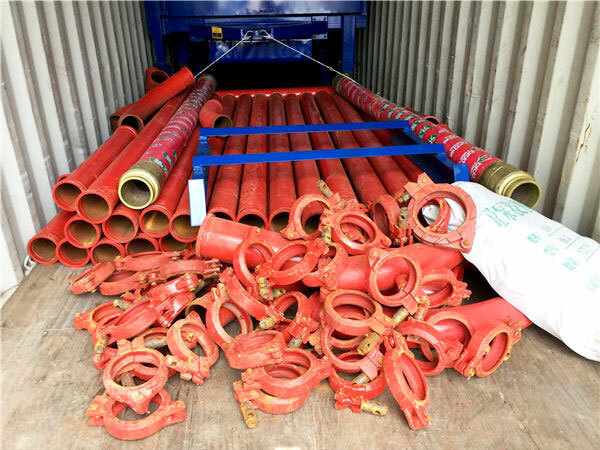 In general, small concrete pump for sale is widely used for the road construction, tunnel project, bridge construction, municipal building construction, port project, expressway project and so on. Small mobile concrete pump has many different types and models that you can select. You can learn their features and advantages firstly, then you can pick up a suitable machine for your own construction project. 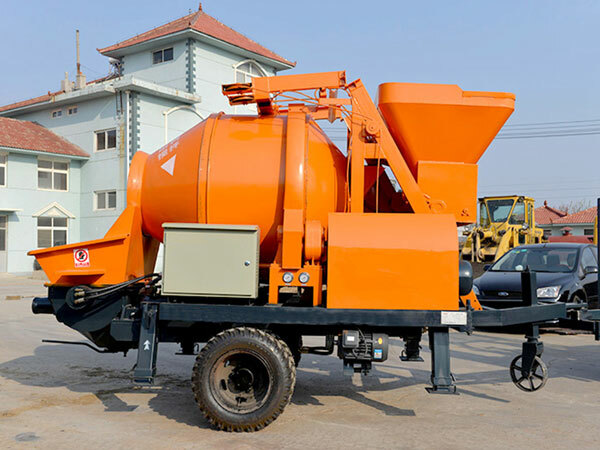 Small concrete mixer with pump can achieve the function of mixing concrete and pumping concrete in one machine. 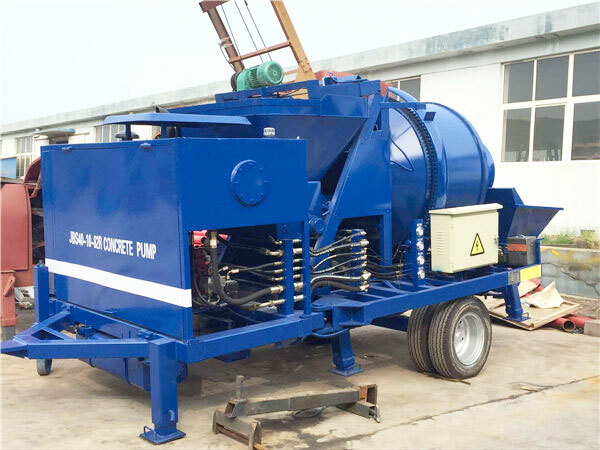 If you need the machine that can mix and pump the concrete at the same time, small concrete mixer and pump is suitable for your project. 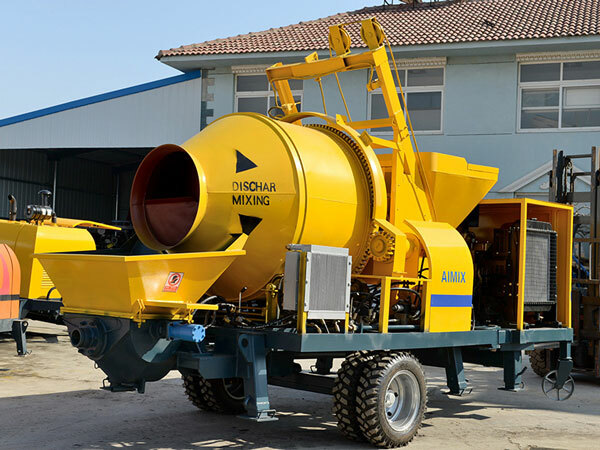 Because our small concrete mixer with pump adopts advanced twin shaft mixer machine, it can mix the high quality concrete. This will greatly improve the quality of the whole construction project. The customer from Philippines know our company in a construction exhibition in Shanghai, China. This customer attended the exhibition, then he learned some information about our Aimix Group. The second time we met, it was in an exhibition in Philippines. 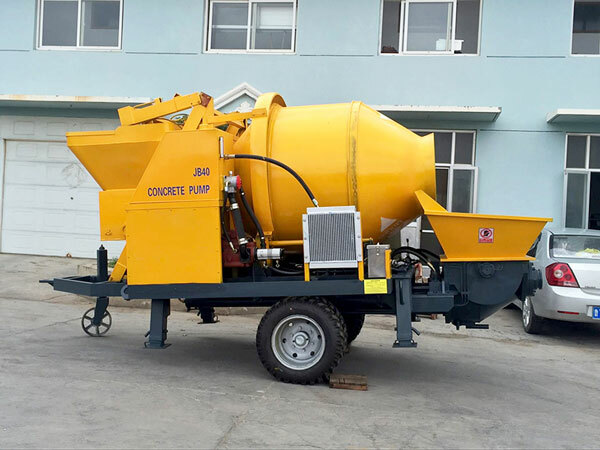 Learning that our customer wanted to buy a concrete pump machine, our salesman recommended JB40R model small concrete mixer with pump for sale for him depending on his requirement. 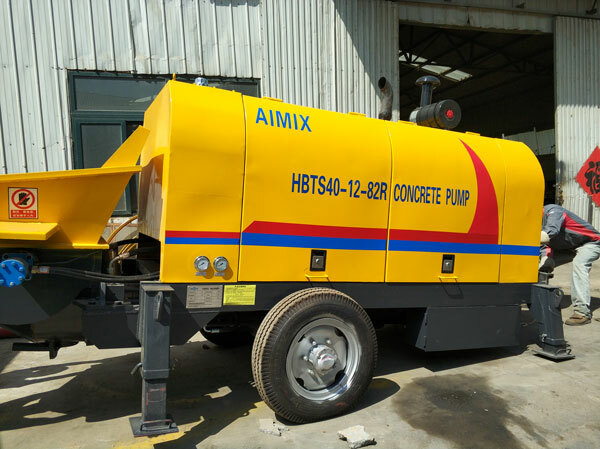 Then this customer ensured that he wanted to buy concrete pump machine from our Aimix Group because he thought our company is professional and excellent. The process of transporting and installing the machine is smoothly. 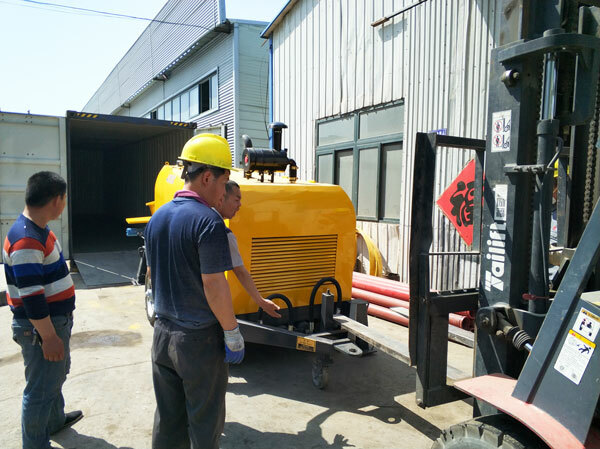 After using our JB40R small concrete mixer pump, our customer gave high praise to our machine. There are some pictures about our customer and our JB40R small concrete mixer with pump. Small concrete trailer pump for sale is our another hot sale product. 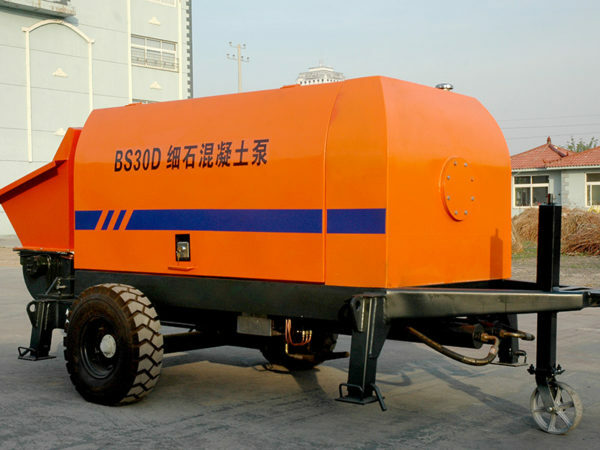 Small concrete trailer pump for sale is mainly used for pumping the concrete to the construction site. Our small concrete trailer pump for sale can reach the higher and further distance because it is equipped with the additional pipelines. Our small line concrete pumping for sale adopts S valve, which makes the pump have the function of anti-pumping. Due to this function, small concrete trailer pump for sale is not easy to clog. Moreover, this makes the pump easy to clean. 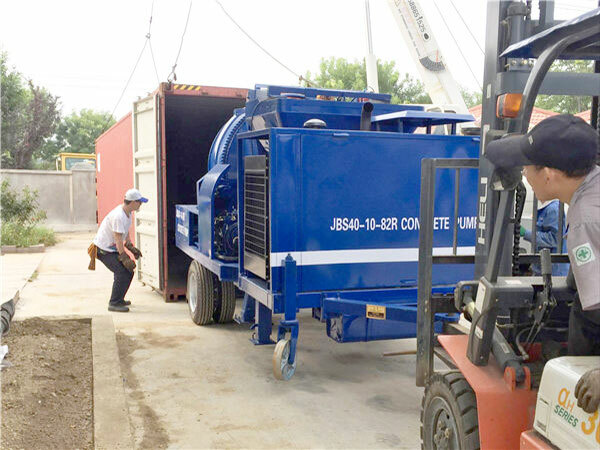 Small concrete trailer pump for sale has the advantages of high working efficiency and stable performance. This customer from Pakistan want to purchase small trailer concrete pump for sale for the road construction. Because his construction project is in the rural area, the area is bumpy and narrow. 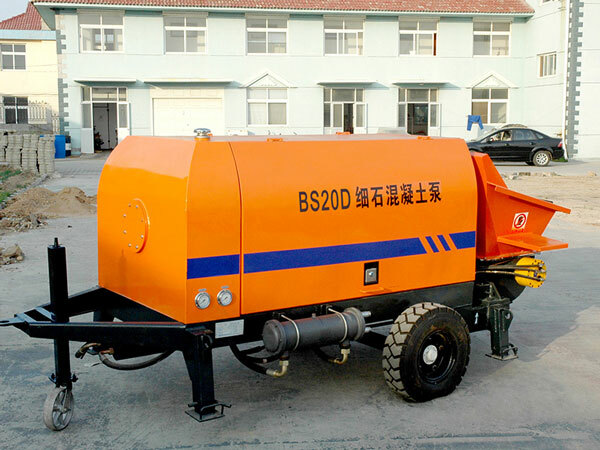 Our small trailer concrete pump for sale has strong adaptability, so it can work normally even if in the bad condition. 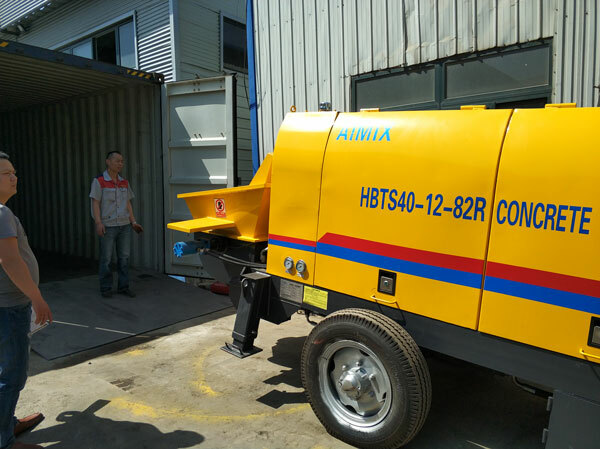 According to the pumping output, our customer chooses the HBTS40R small trailer concrete pump for sale. 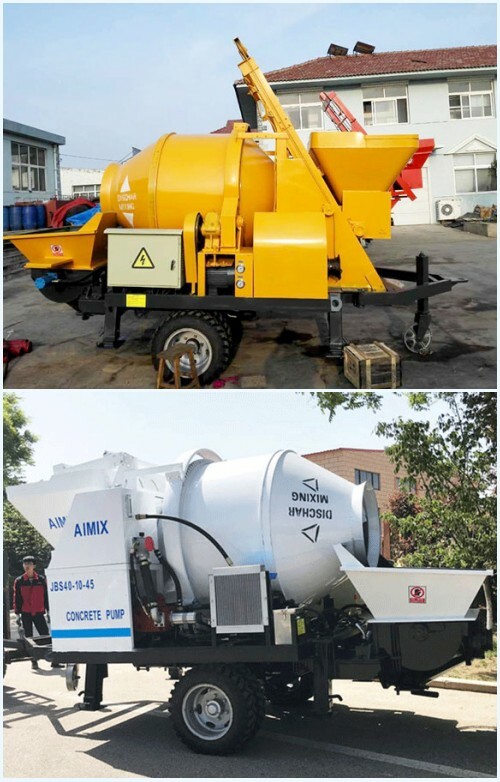 As its name implied, small diesel concrete mixer pump for sale is driven by diesel power while small electric concrete pump for sale is powered by electricity. Diesel engine small concrete pump for sale is more suitable for these areas that areas lack of electricity or the electricity cost is high. If you are in the area that is filled with electricity or the diesel resource is rare, maybe you should consider the electric engine small cement pump. If you have any confusion about the concrete pump machine, welcome to consult us at any time. When you look for the small concrete pump suppliers, you must want to find a trustworthy small concrete pump manufacturer. I will introduce for you about why you should select our Aimix Group. Rich production experience – Have accumulated over 35 years production experience and have our own professional engineer team. Strict inspection on quality – Whether in the process of production or before transportation, our production workers will inspect the every component strictly. Good feedback of our customer – At present, our small concrete pump for sale has been delivered to over 60 countries, including Philippines, Pakistan, Uzbekistan, Sri Lanka, Indonesia, Fiji, Australia, Kenya,Singapore, etc. 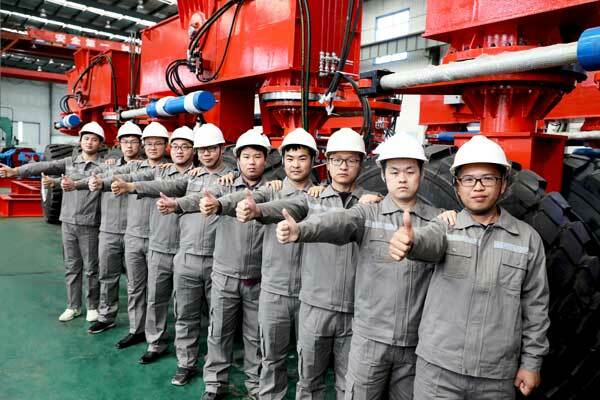 Ou small concrete pump machine has won the good reputation by our customers from all over the world. Suitable model save your initial cost – Our salesman will customize the suitable model for your project. Help train the operator – This can save your training fees. Reduce maintenance fees – Our engineers will teach you some maintenance and repairment method. Consultation service – Whatever you have any problem about machine, small concrete pump price, maintenance, you can consult our salesman by email or phone. We will reply you as soon as possible. Installation and debugging service – After the machine arrives your construction site, our engineer will guide you how to install and test run it. 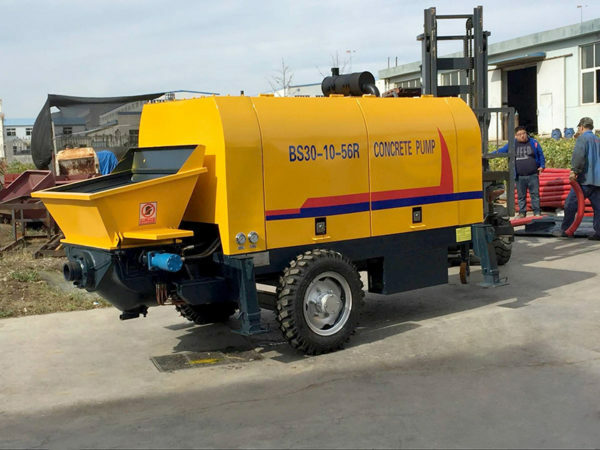 Provide the configuration – In the process of using the small concrete pump for sale, if the machine is wrong, and you need to change some parts, you can contact us. We can provide you with the parts. Quickly reply – Once our salesman receives your email or phone, they will reply you quickly in order to help you solve your problem as soon as possible. To sum up, our Aimix Group is the trustworthy small concrete pump manufacturers. If you plan buy small concrete pump for sale, please choose our company without hesitate. Waiting for your message!